Babylon Traffic's Website Traffic Generator is the tool every website's owner and marketers will love. These features have been designed to meet the needs of traffic generation a modern website needs. What if you could dictate what each visitor should do on your website? With Babylon Traffic, you can! You are in complete control of what each visitor should do: Clicking a specific link, filling out lead generation forms or set referrers, you got everything covered and in control with Babylon Traffic. Our easy-to-use behaviour control allows you to configure exactly what the visit should do on your website. You can configure advanced behaviour such as this one as well: go on your website -> wait 60 seconds -> click on a product page -> click on the add to cart button -> fill an email. Driving traffic from your preferred country has never been easier. Babylon Traffic provides support for getting traffic from all countries in the world. 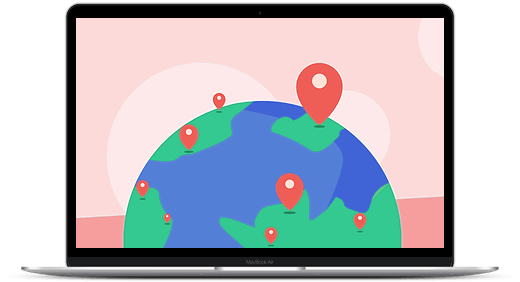 You can choose to have traffic from all over the world: USA, India, Europe, ... anywhere! Dedicated servers that spoof the IP only in Google Analytics. Residential proxies that really use the IP of the country of your choice. They are undetectable and pass all the filter of all the websites. You can choose the exact source (Referrer) of your visits: Organic Search, Direct Traffic, Social, Referral, Email, Paid Search, etc. Just copy and paste the URL the visit should come from, and that's it: all the visit will appear to come from this page! Do you need the traffic to come from a specific keyword from Google? Just look for a keyword of your choice using your browser and copy and paste the URL in our system. Do you need to have the traffic coming from Instagram or Facebook? Just write "https://www.facebook.com" or "https://www.instagram.com" in the referrer input. And if you need the traffic to really go to Google and click on your website, you can do it as well! Check our help guide for this! We manage daily millions of visits and can start sending new ones in a snap! 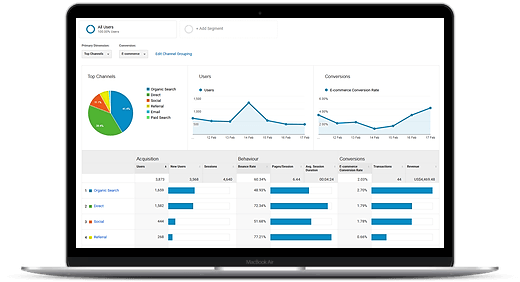 Configure your campaign, activate it, and start receiving new visits in seconds. 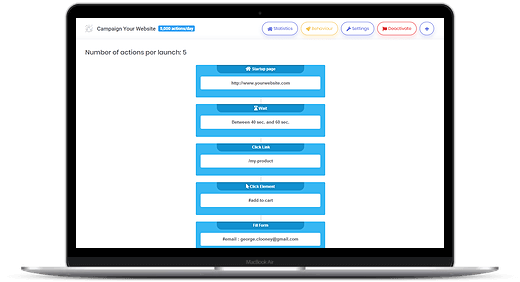 Once configured, you will receive visits for the whole life of your campaign. It will simply never stops. 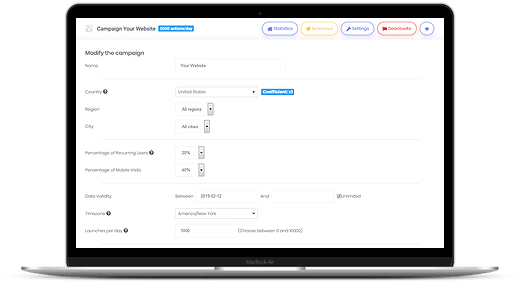 You can configure the timezone of your campaigns as well. You will then receive more traffic during the day, and less during the night, for a better impact on your visibility! Premium countries: you can select to use residential proxies. Mobile/Desktop visits: select the percentage of mobile visit you want. 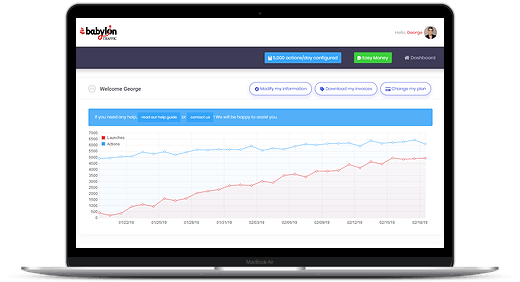 Recurring visits: choose up to 100% recurring visits! Timezone: Receive more visits during the day, less during the night. 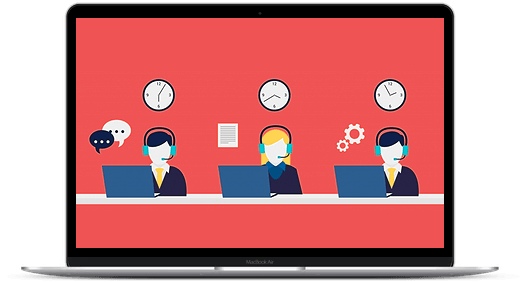 Our team of experts is available 24/7 to answer as soon as possible to any question you could have regarding Babylon Traffic. With a resolution rate of almost 100% and a satisfaction rate close to 99%, we are always able to help you. We are quick and reliable! We are proud that the procedures and the systems we have implemented allow us to address meaningfully the majority of the serious issues in less than 5 minutes! Have a look at our help guide first! If you can't find the answer to your question, contact us! Open the traffic floodgates for your any website now!